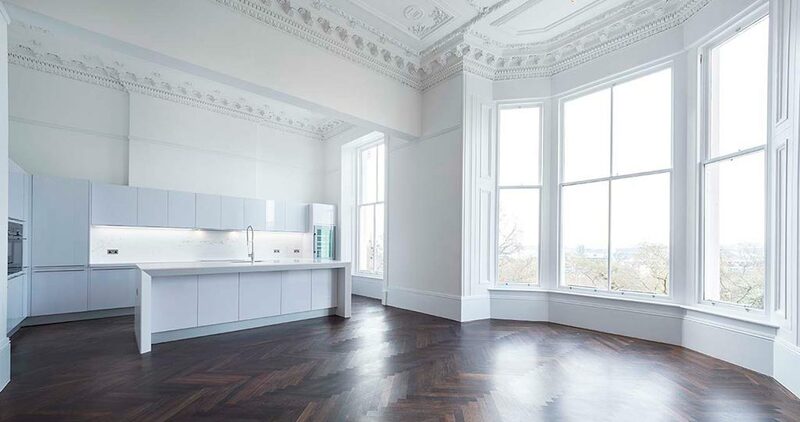 In one of the most exclusive streets in Glasgow, we find a building at 6 Park Terrace. 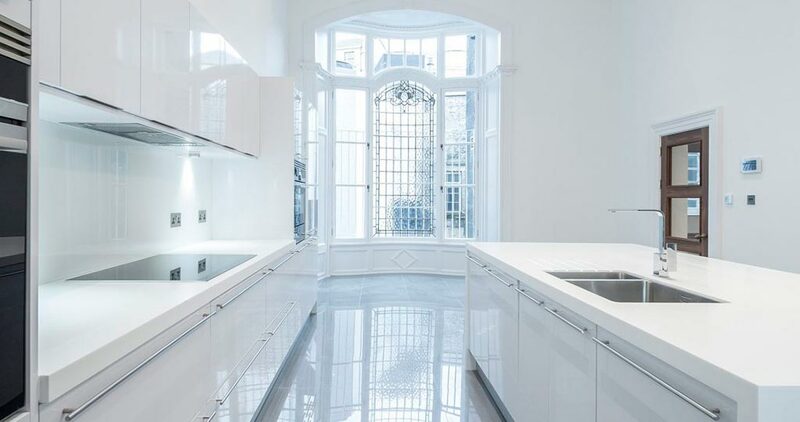 A project which turns a building of neoclassical architecture into exclusive homes; it does so by merging the authenticity of this style with the most innovative and cutting-edge equipment from the PORCELANOSA Grupo. 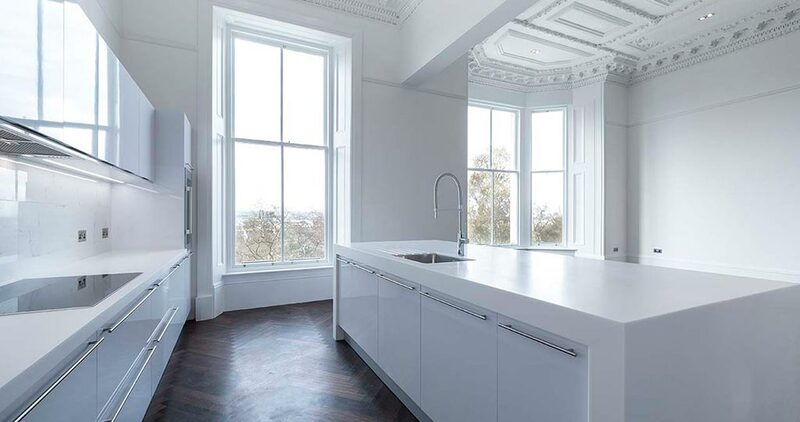 Red Eye Developments, the company carrying out this transformation, is a specialist in creating spaces where the past and the present are perfectly blended, creating atmospheres of undeniable character and originality, refurbishing historic buildings and giving them a new lease of life. Inside the building, there are two duplex apartments with the most innovative materials from the PORCELANOSA Grupo. In both spaces, the main attraction is the kitchen furniture from the Residence model G015 collection by Gamadecor, and it comes in a layered white gloss finish. 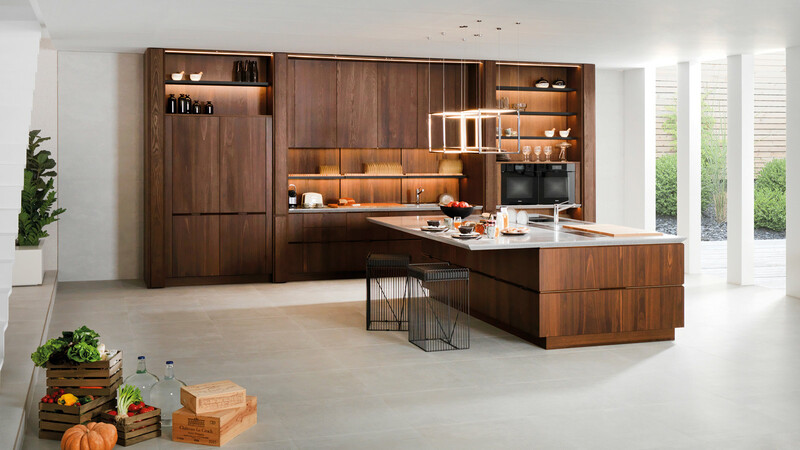 A kitchen model that more than meets the most demanding needs because of its high-performance details, using the best fittings from leading European brands, panels from sustainable forests, all manufactured in Spain. 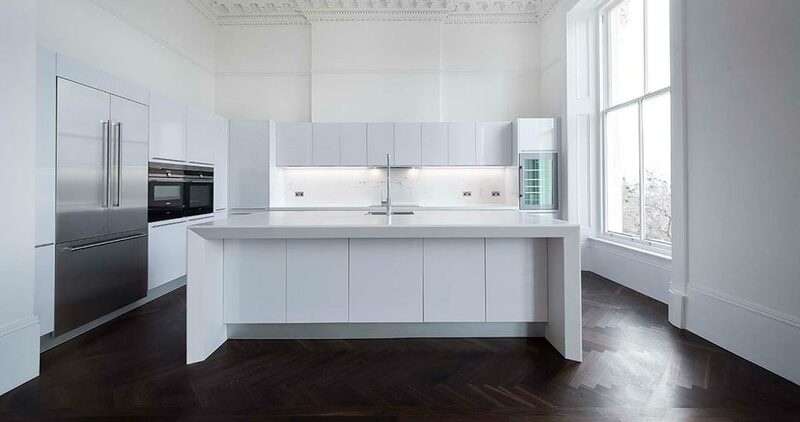 The aesthetics and practicality of the Residence kitchen model have been the reasons why this kitchen design has been chosen, since it allows for its adaptation to the needs of the project, which results in a kitchen open to the living room, converted into an island. 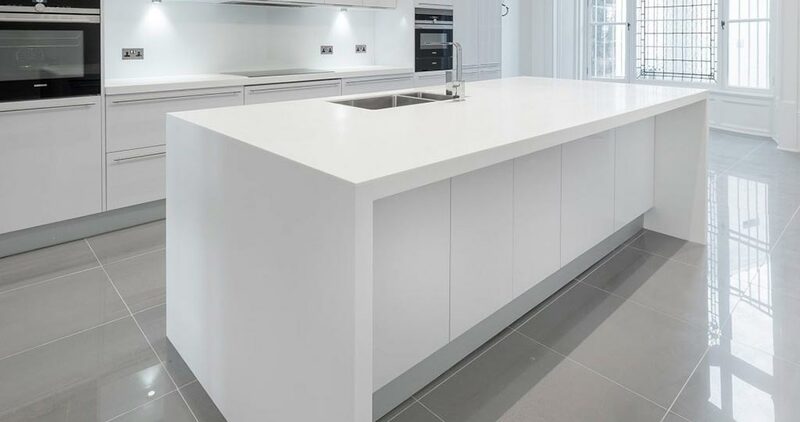 Its countertop and furniture have been made with the KRION® Solid Surface 1100 Snow White compact mineral by SYSTEMPOOL. 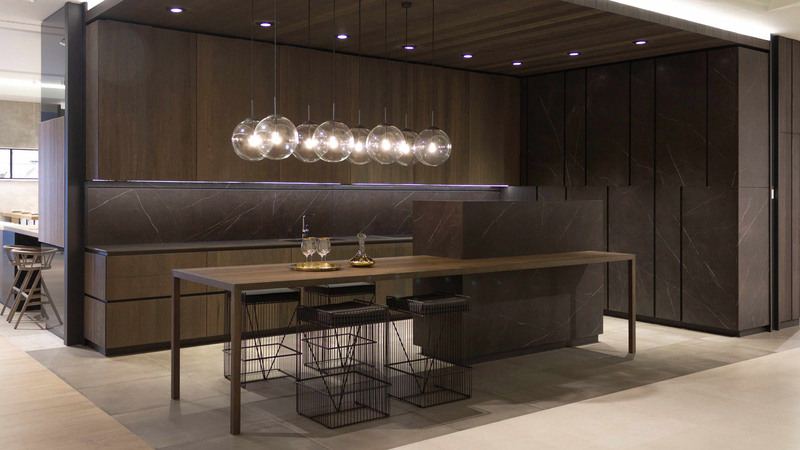 A cutting-edge material capable of being adapted to any kind of surface and decorative style. 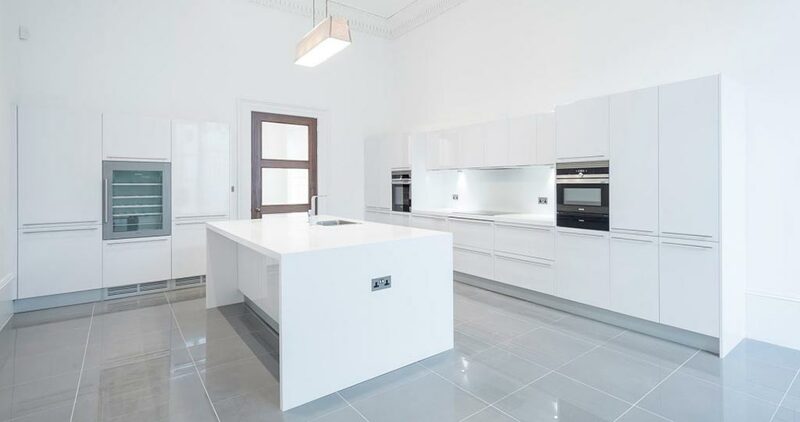 Residence kitchens are characterised by the great quality of their materials and by having the latest innovations in design. Notably, there is the possibility of making joins between edges and panels using laser technology, creating a better-sealed, more durable, practically invisible join. In the same way, to mould the integrated handles on the laminated fronts, the innovative Softforming technology has been used, allowing practically any shape to be created (mitre type, fingertip type, etc.). 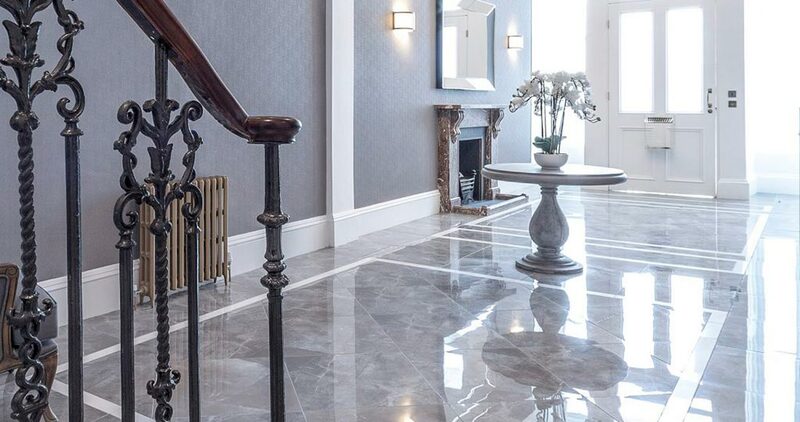 Regarding the floor tiles, the innovative SOUL collection was chosen for the project, which allows for a classic space to be updated, but, without forgoing the comforts offered by the new ceramic technology. 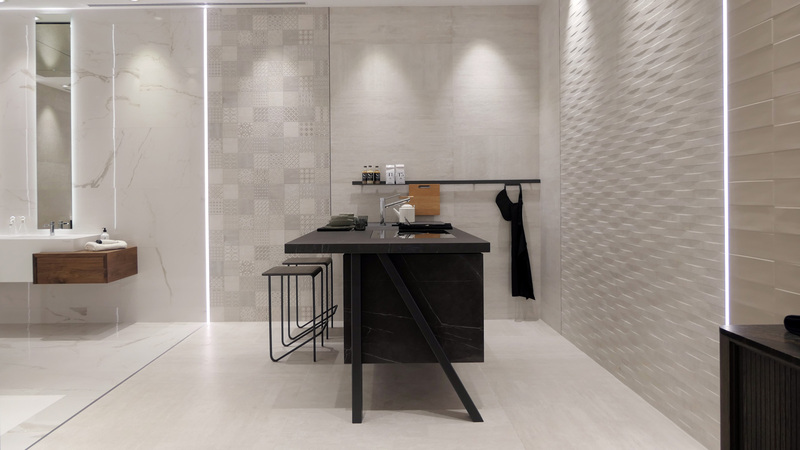 A material capable of transmitting the essence and the beauty of marble in a refurbished neoclassical building, making the most of the polished through-body porcelain tile by URBATEK, a firm from the PORCELANOSA Grupo. From a wide graphic range, it allows for unique designs and combinations with maximum strength and durability. All of them have been installed with butech bonding materials and butech joints, recommended by the PORCELANOSA Grupo. Summing up, luxury equipment which provides the space with a renewed aesthetic and unbeatable quality.